April 2019: Etruscan Warfare If the question of who were the Etruscans, the great civilization that once ruled Rome and the larger part of Italy for centuries, it's downfall also brings questions with it. Fact is, the Roman Republic was at war with the Etruscans in several occasion, starting right after expelling the last king Tarquinus Superbus, up to 300 BC when a coalition of Samnites attacked from the south and Etrusco-Gallic forces from the north. typical city-state Hoplitic warfare or was there something else about it ? 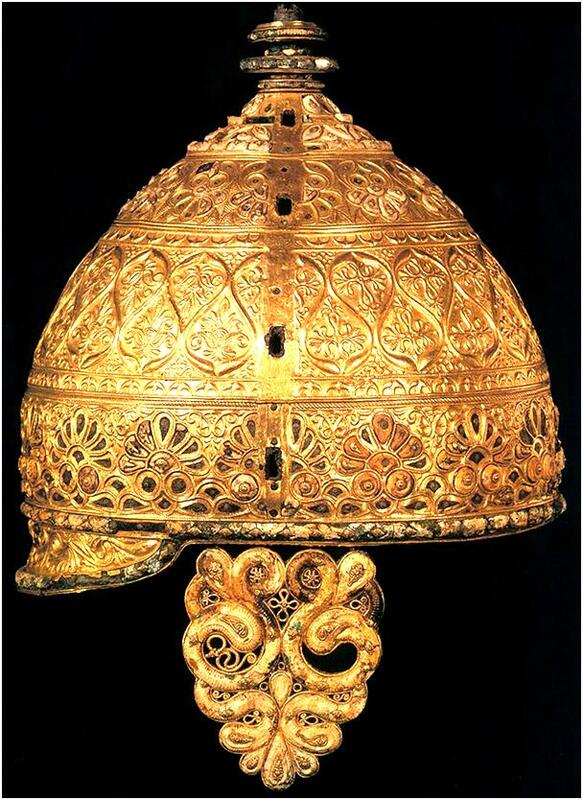 Two splendid examples of cross-culture in the IVth Century BC, two ceremonial Gallic helmets of the era, widely decorated in Greek and Celtic patterns. And what we know about the greek classic armies at this time, with hoplites and meprised psiloi and hippiko, and their opponents, the persians, and beyond the sparabara, takabara, kardaka and other troops ? -The greek-city states age became, with the Macedonian rise, the Hellenistic era, which created terms like "phalangitai, hypaspistai, chalkaspidai, argyraspidai, Leucaspidai, akontistai, peltastai, thureophoroi, toxotai, sphendonetai, thorakitai, hetairoi, prodromoi" were known and became a model for all combined army from the Herakles columns to the Indus river... A true encyclopedia of ancient warfare. Art concept for four illyrian warriors. Polybian medium infantry, first line. Carthaginian mercenary, 3th BC Punic wars. Northern Italic celtic swordsman, 4-3th BC. Sword tribesman from Cyrta (Libyan coast) 4-3th BC. Punic Militia, Carthage, 3-2th Cent. BC. Kuarthoroi, eastern Galatian Merc., 2-1th Cent. BC. Classic slinger from Cyrta, 3th Cent. BC. Heavy Thracian Merc. IV-II cent. BC. Greek Mercenary Peltast, V-IIth cent. BC. Macedonian Bronze shield phalangist, 4th-3th BC. Carthage Elite hoplites, the Sacred band, 3th BC. Iberian tribes light infantry 4-3th BC. Hellenistic Egyptian Phalanx, 3-2th Cent. BC. Iberian Merc. 2nd Punic war, 3th Cent. BC. Carthaginian Hoplite, 4th-3th Cent. BC. Elite thracian shock troop (with 2 handed romphaia), 4-3th BC. Germanic spearman, 3-1th Cent. BC. Dacian Falxman 1th Cent. AD. Gallic Gaesatae 3th Cent. BC. Dacian warrior with Sica 1st cent. AD. Suebian Noble, 1st cent. BC. Suebian Macemen, 1st cent. BC. Gallic Spear warrior, 4th-3th BC. Gallic Champion Bodyguard, 4th-3th BC.